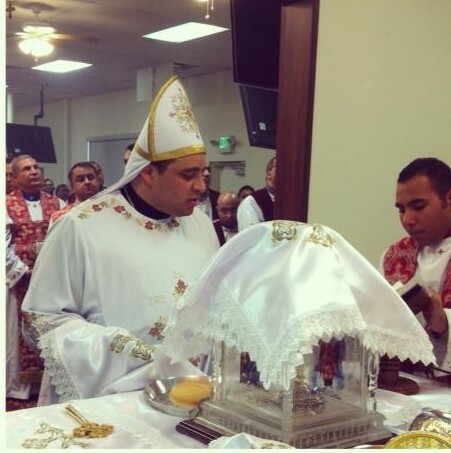 With great joy, the Diocese announces the blessed ordination of Father Michael Fanous, a new priest to serve at St. Mary Magdalene Church in Palm Springs, on Sunday, March 3, 2013. 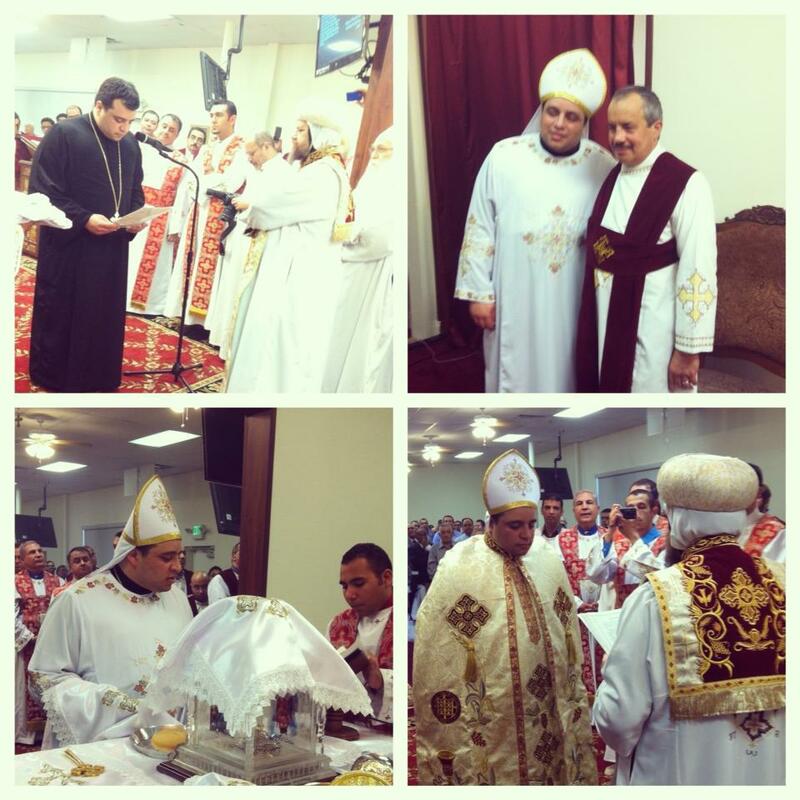 The new presbyter was ordained through the laying of hands by His Grace Bishop Serapion and His Grace Bishop Youssef of the Diocese of the Southern United States. Their Graces also consecrated the Holy Altar of the church and baptized Father Michael’s newborn son in a day full of joy and blessings. We pray that the Lord may bless Father Michael’s service and preserve his priesthood.